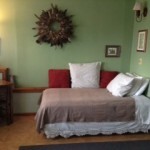 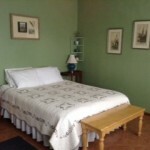 The Sunrise Room has a queen-size bed, a twin-size bed, Direct TV, a sitting area and a private bathroom with a tub & shower. 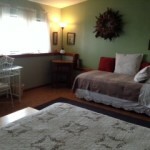 The Sunrise room is $85 per night with a continental breakfast. 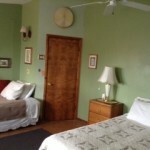 $25 SURCHARGE FOR A ONE NIGHT STAY WILL BE ADDED TO YOUR TOTAL.